So often when I hear about disasters, I think, “How terrible. Those poor people who have lost their houses, their possessions, their pets.” I feel sincerely sorry for them, but then the phone rings or dinner needs to be made, and the immediacy of their plight dims for me. I write the check to the disaster fund and I may even think about it for a long time, but the reality of it doesn’t hit me. Yesterday, California was hit by wildfires up and down the state. I was busy and in pain so I didn’t even know about it. Until our daughter-in-law called. Her sister’s house in Carlsbad was right in the line of fire, and the fire was uncontained. Skye got to rescue the family’s dog and her home computer—that was it. If the winds didn’t shift, everything else would be gone. 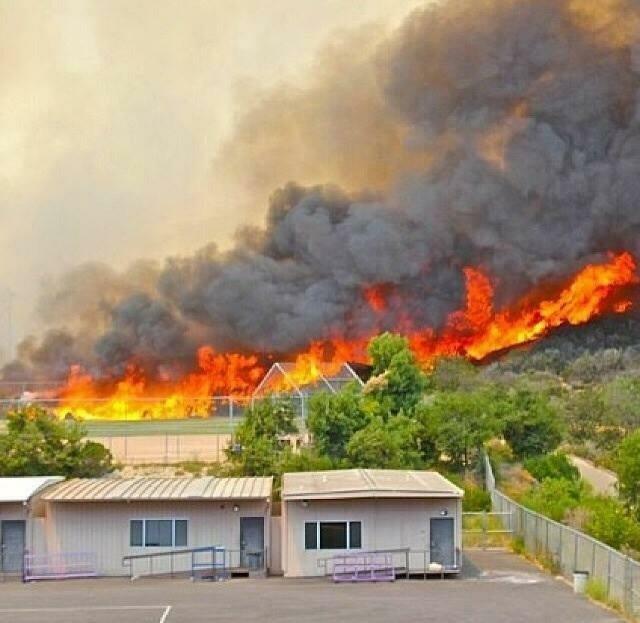 When she went to pick up her girls, Skye was stunned at how close to the school a fire was raging—right on the field where her daughter, Grace, had been playing 20 minutes before. This disaster and its victims were no longer anonymous. 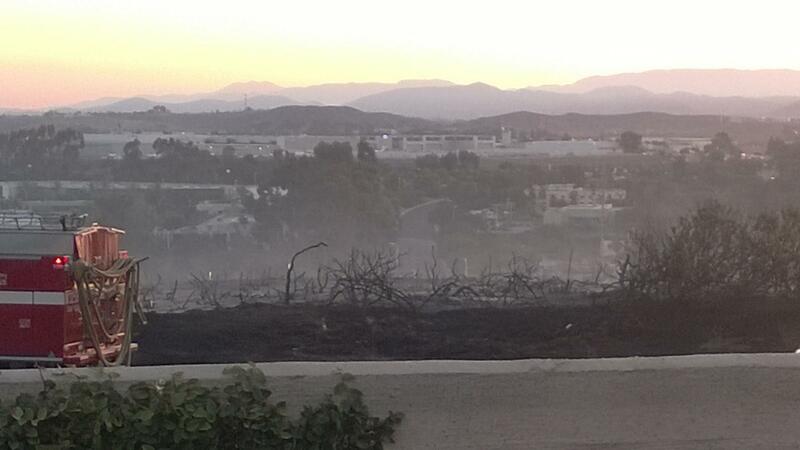 We turned on KCAL and CNN, watching a house down near them burn to the ground. The wind kept shifting, and two houses on the other side of their retaining wall, also burned. But they were spared. “We’re feeling pretty good right now,” Skye texted. “The fire department is using our backyard as a staging ground and CNN is here too. We couldn’t be safer.” We’re so thankful that no one was hurt and that their house is intact. But I realize it will be long time before they feel safe again. And I know I’ll never look at disaster footage the same way again.